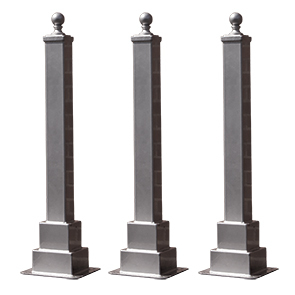 With a contemporary take on a traditional form, the Hampton Series Steel Bollards elegantly merge style with safety. Engineered for trusted performance with all-steel construction and ultra-resilient powder-coating finish prevents wear and corrosion as a result of continued exposure to seasonal elements. Models available in 3' and 4' heights that are specifically configured for surface or in-ground mount installations.